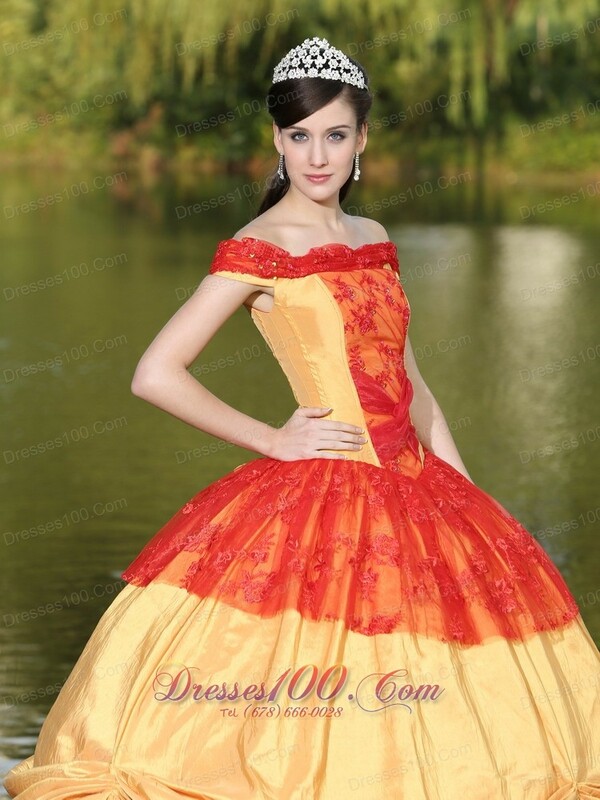 Are you looking for a high quality and resonable quinceanera dress at your party?Are you looking for a unique desgined dress which can gain more attention from the quinceanera?The off-the-shoulder bodice is dotted with appliques and tulle details.A full skirt made from layers of different fabric in different color makes the dress more delicated. 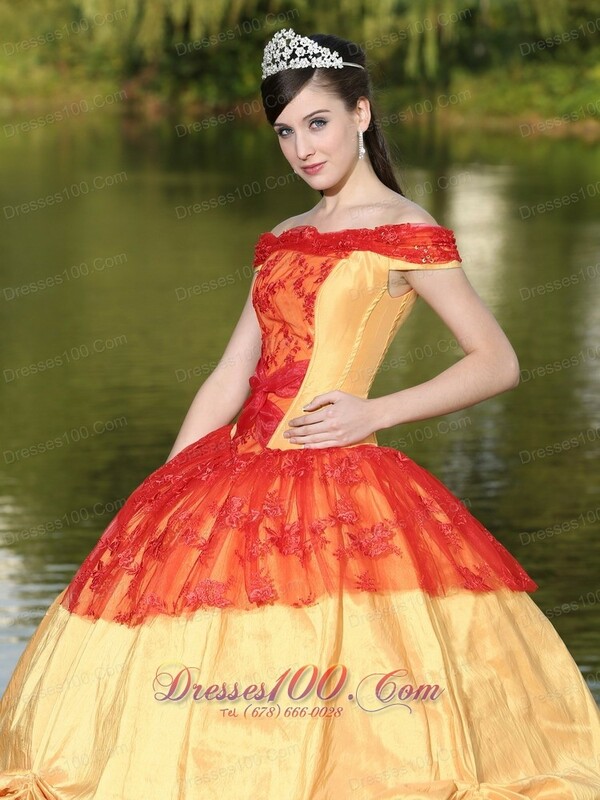 There is no doubt that the fabulous is your best choice for any of your pagent.The gorgeous, yet intricate designs in this gown will surely make it a favorite. 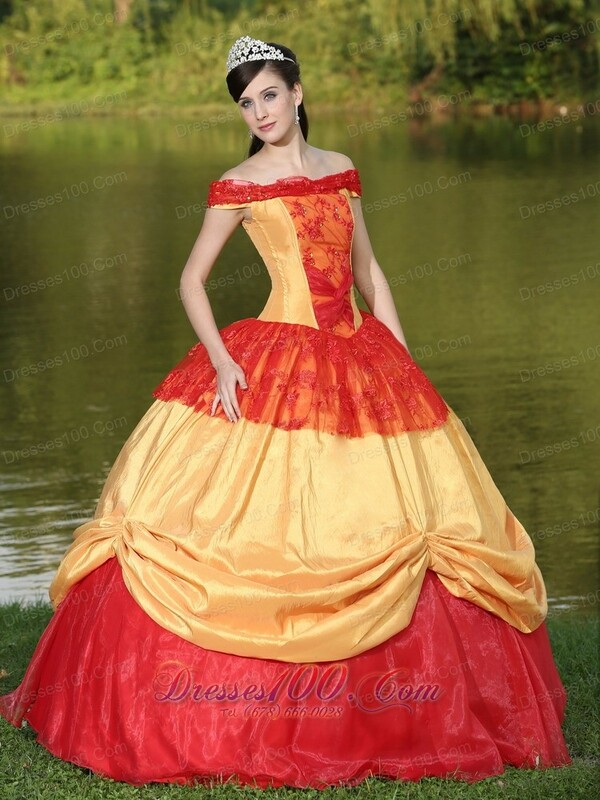 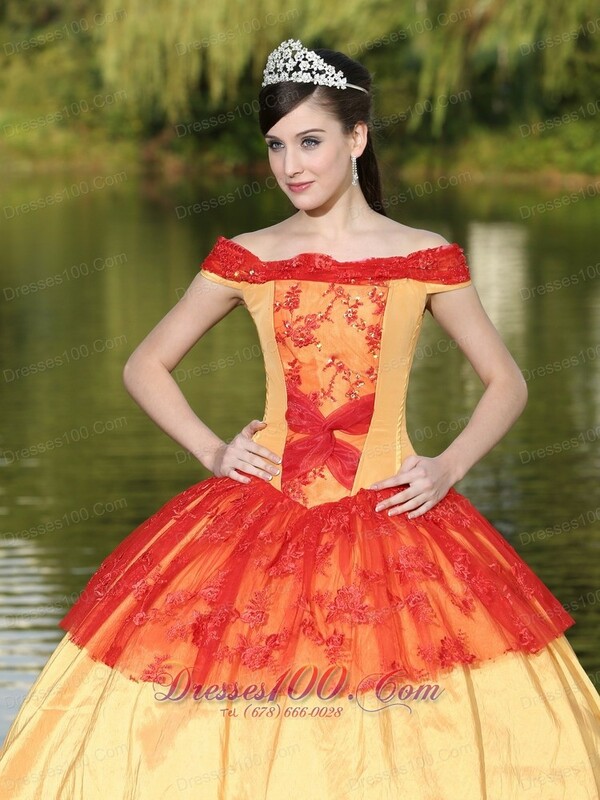 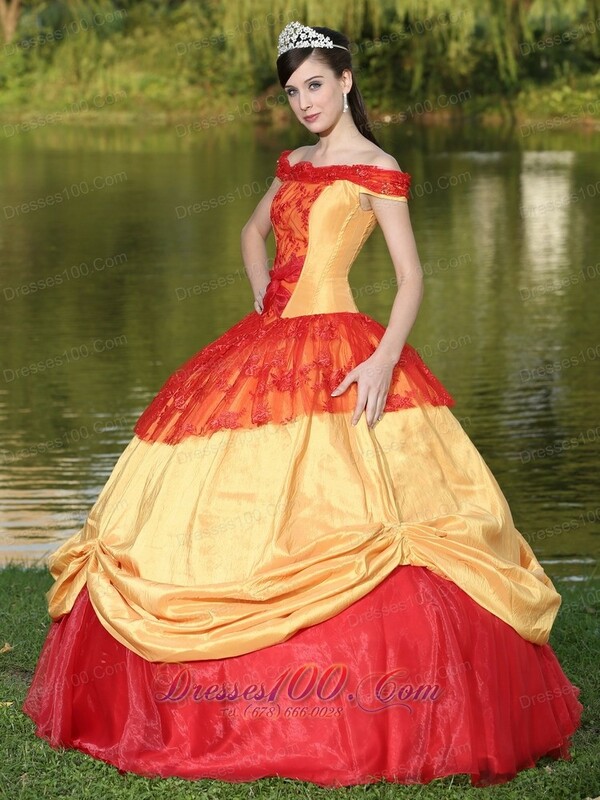 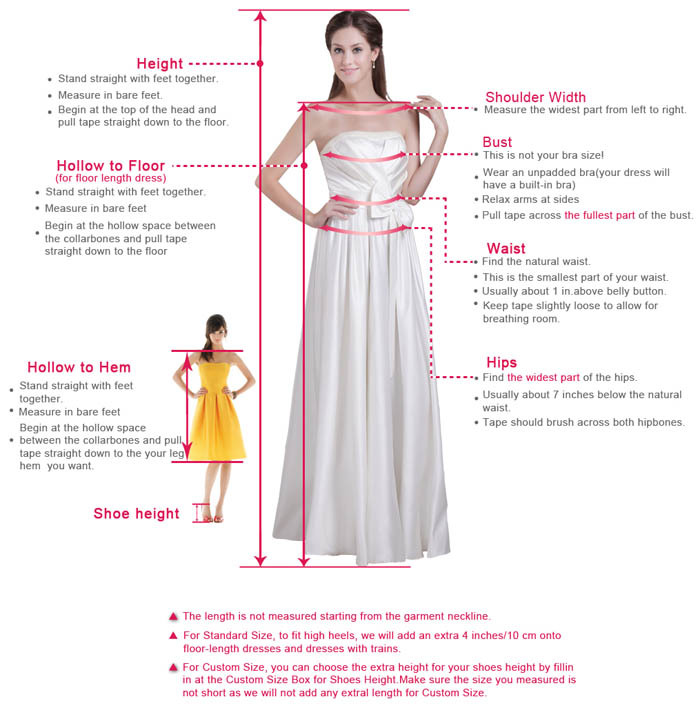 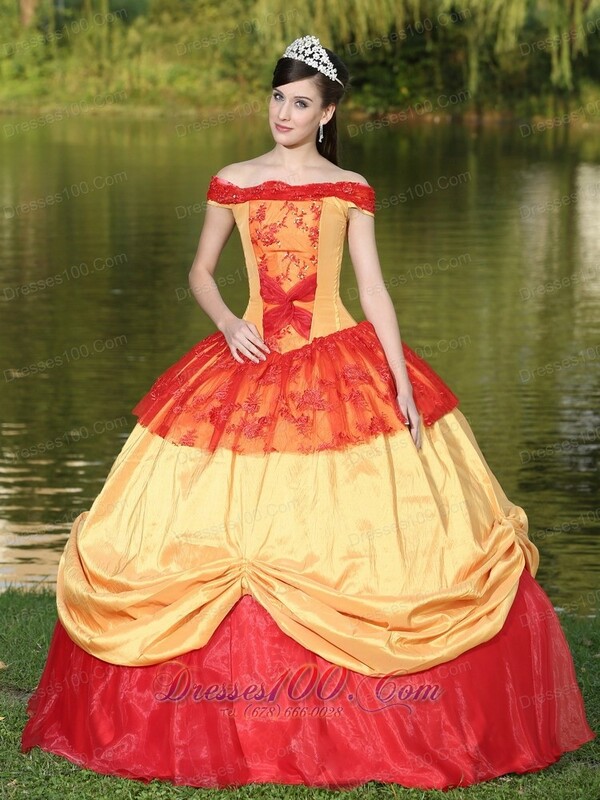 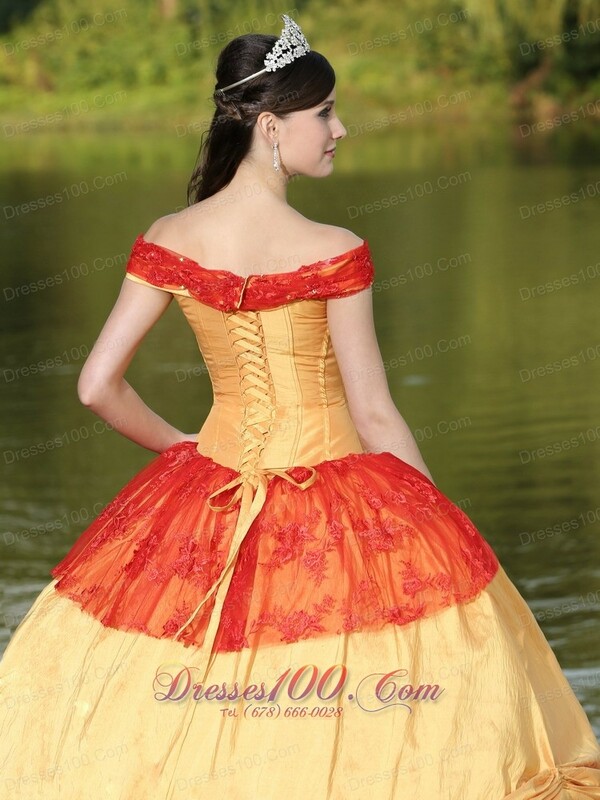 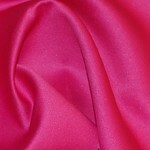 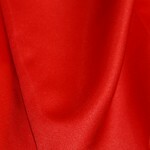 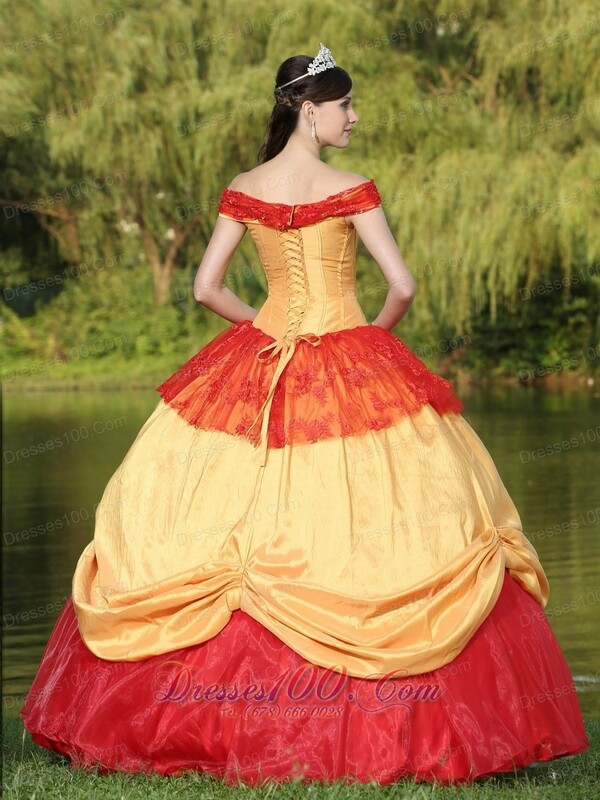 You can also visit this url Colorful Shoulder Neckline Quinceanera Dress With Appliques to get more revires.